The Kane Table is a beautiful deep brown drum style outdoor coffee table that offers a unique take on synthetic cane. 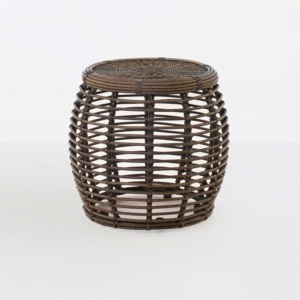 The size variations of the synthetic outdoor weave and the synthetic wicker give it a certain natural feel and a gorgeous conversation piece. 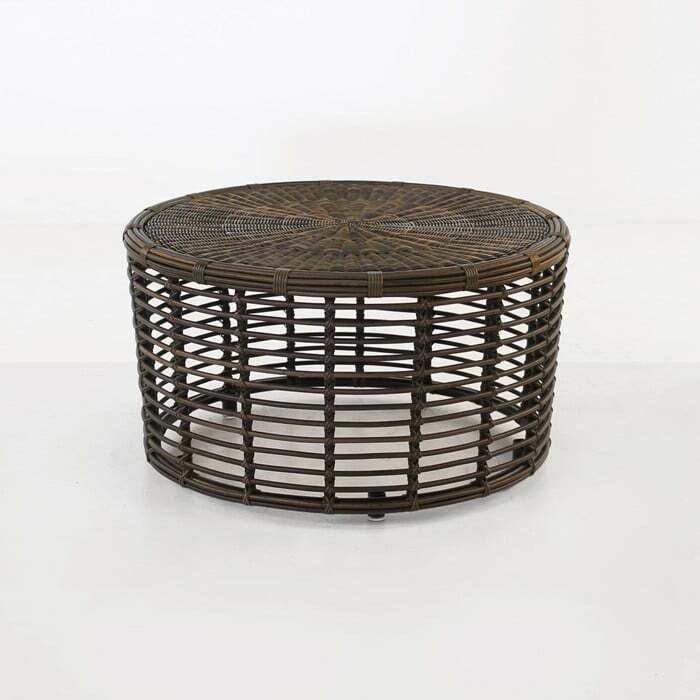 The thick cane-like woven strands on the outside lines of this coffee table combine with a tightly woven tabletop that offers utility and a good surface for a variety of items. 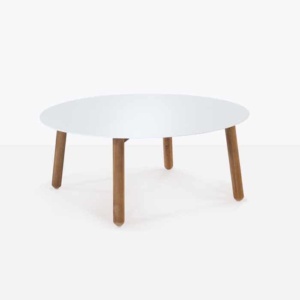 The sizing is perfect to be used as a coffee table or to accessorize a larger space. 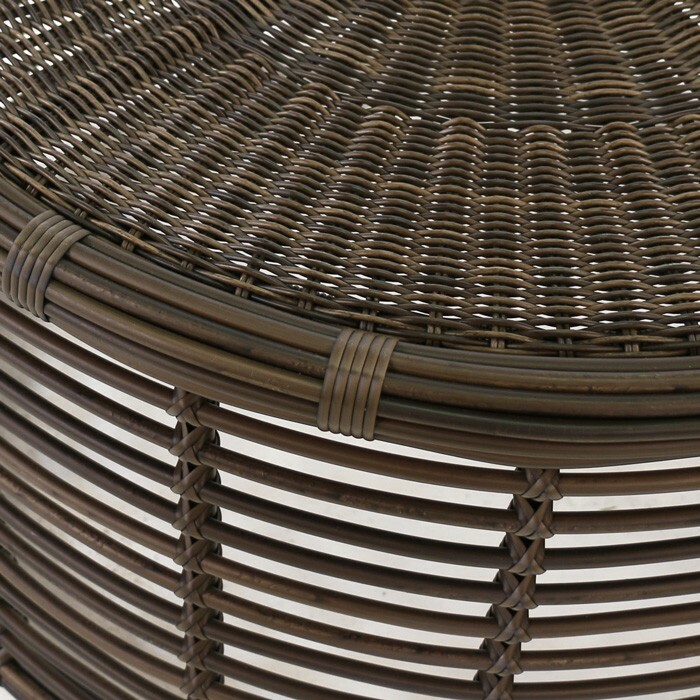 The frame is powder-coated aluminum and the weave is synthetic with a gorgeous natural look and varying sizes of strands, which give a unique and satisfying look.